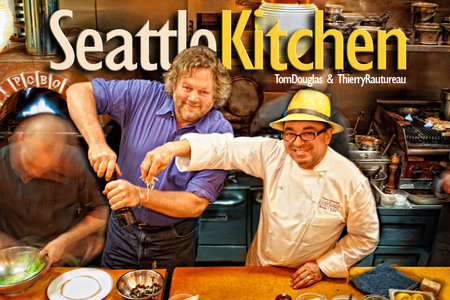 It's always a treat to share the airwaves with Seattle Chefs Tom Douglas (Dahlia Lounge, Seatown Seabar, Serious Pie, Lola, Assembly Hall…too many to count!) and Thierry Rautureau (Loulay and Luc), this time in honor of the release of Seafood Lover's Pacific Northwest. Take a listen to our chat about where to eat Dungeness crab while visiting Seattle, the fabled Long Beach Peninsula restaurant The Ark, and fun daytrips from Seattle.